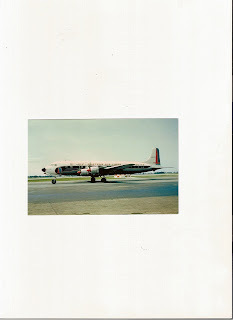 Eastern Airlines Flight 512, bound from Charlotte, N.C. to Idelwild Airport, a DC-7B four-engine aircraft, arrived over the New York City area at approximately 9:00 P. M. on November 30, 1962. The crew previously had been informed that due to adverse weather conditions the flight might have to be diverted to Philadelphia. While in its holding pattern, the aircraft was advised that "there was pretty bad fog on the airport," and that as a result "some [planes] are making it and some are not." At approximately 9:37,Idelwild Approach Control cleared EAL 512 for an instrument landing system (ILS) approach to Runway 4 Right. Such an approach required the controller to guide the aircraft by radar until the plane intercepted a localizer beam, at which point the crew assumed full navigation of the plane. Then at 9:45 P.M. something went horribly wrong. On December 1, 1962 the Associated Press released the following story. 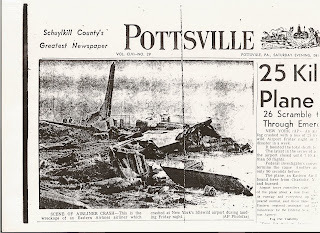 New York…An airliner groping through a fog crashed with a loss of 25 lives -- 26 escaped -- at Idlewild Airport Friday night in the sixth major aviation disaster in a week. Airport tower controllers sighted the plane about a mile from its runway and everything appeared normal, said Oscar Bake, Eastern regional assistant administrator for the Federal Aviation Agency. The crewmen who perished were Capt. EDWARD J. BECHTOLD, 43, the pilot, of Laurel Hollow, N. Y.; JULES WAGNER, co-pilot of Cambria Heights, N. Y.; and ROBERT L. VORKEES, 31, pilot-flight engineer, of Comoack, N. Y. Officials declined comment on the cause of the crash pending investigation. 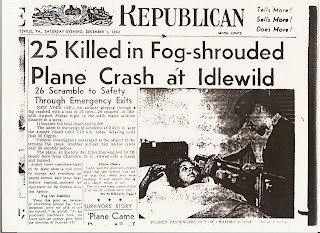 Survivors scrambled through emergency exits, crawling and running from the flames that engulfed the forward portion of the propeller-driven Eastern Air Lines DC7B, arriving from Charlotte, N. C. Idlewild had been completely covered by fog earlier in the evening and Capt. EDWARD BECHTOLD, a veteran frequently used as an export cross-examiner in government inquiries into crashes told the passengers he might try to land at Philadelphia. "One man was on fire," she said. "His whole body was burning. I put him out” Passengers, too, returned from safety to try to aid their less fortunate travelers. Ambulances, guided by men on foot, crept toward the scene. 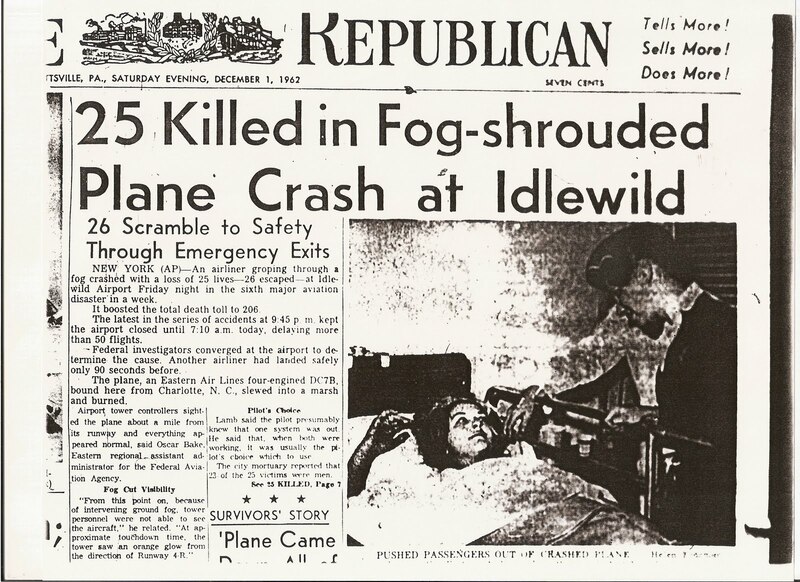 Elsewhere in the fog blanket on Idlewild, five airliners were "lost," holding their positions on the ground, awaiting police cars to guide them to some haven. Staffs at three hospitals mobilized to handle the injured, and two doctors from Peninsula General Hospital went to the airfield. "There were 25 bodies, including one child," said DR. OSWARD MORAN. "I counted them. It was terrible. All of them were burned." The crash was Eastern's first since an Electra turbojet plunged into Boston harbor shortly after taking off Oct. 6, 1960, killing 62 persons. Idlewild's last crash occurred just nine months ago, on March 1. An American Airlines transcontinental jet climbing from the runway faltered and dived into Jamaica Bay, carrying all 95 persons aboard to their deaths. New York AP… There are more than a score of voices left to tell the last moments-split seconds filled with flashes of fire, explosions and final disintegration. These are graphic expressions used by some of the 26 survivors of Friday night’s crash of an Eastern Air Lines four engine plane. Twenty-five voices are stilled forever. They were among the 51 aboard the piston propelled DC-7B who lost their lives in the fog shrouded crash. Stewardess Helen Fournier of Forest Hills, Queens was one of the survivors. Donald Barbour, 36 of Coxsackie, N.Y. where he is manager of Special Heating Products, had praise for the pilot’s unsuccessful attempts to raise the plane off the ground after it first touched down. M.V. Little of Huntington Station, N.Y. was asked if their was any panic in the plane following the crash. Eastern Air Lines Flight 512, a Douglas DC-7B, N 815D, crashed during an attempted go-around following an instrument approach to runway 4R at New York International Airport, at 2145 e.s.t., on November 30, 1962 Of the 51 persons aboard, 21 passengers, 3 crew members and an additional crew member occupying the jump seat did not survive. Flight 512, regularly scheduled from Charlotte, North Carolina, non-stop to New York International Airport, entered a fog condition near the threshold of runway 4R. A go-around was initiated; however, the aircraft struck the ground in a slightly nose-high attitude and was virtually destroyed by impact and subsequent fire. In command of flight 512 was Captain Edward J. Bechtold, age 43, was employed by Eastern Air Lines on April 26, 1945, and had accumulated a total of 15,644 hours flight time, of which 2,700 hours were in DC-7 type aircraft. A veteran Eastern pilot and a man who was recognized as an expert on air safety. He was a member of the Air Traffic Control Committee of the Air Line Pilots Association, Chairman of the New York Air safety Committee. Captain Bechtold often criticized Idlewild's facilities, especially dealing with landing aids. The First officer on flight 512 is Julius A. Wagner, age 45, he was employed by Eastern Air Lines on March 15, 1951, and had accumulated a total of 9,042 hours flight time. He had accumulated a total of 1,610 hours flight time in DC-7 type aircraft, of which 71 hours were as pilot-in-command. The Pilot/Flight Engineer is Robert L. Voorhees age 31, he was employed by Eastern Air Lines on August 26, 1957, and had accumulated a total of 4,080 hours flight time. He had accumulated a total of 149 hours as pilot-engineer and 718 hours as a pilot in DC-7 aircraft. In the cabin were Flight Attendant Helen L. Fournier was employed by Fasten Air Lines on April 16, 1962 and Flight Attendant Patricia J. Richards was employed by Eastern Air Lines on June 24, 1961. The Board determines the probable cause of this accident was the technique employed by the crew during abandonment of the approach under fog conditions not adequately reported. Flight 512 was attempting a go-around following an instrument approach to runway 4R at Idelwild. Of the 51 persons aboard, 21 passengers, 3 crew members and an additional crew member occupying the jump seat did not survive. The EAL forecast attached to the Dispatch Release of Plight 512 indicated clear skies or scattered clouds for Idlewild. Being that EAL 512 had no voice recorder on board all radio transcripts are taken from the CAB report. The following transcripts are taken from the CAB accident investigation and are the authors interpretation of what transpired up and till the crash of EAL 512. The aviation terminal forecast, valid for the period from 1800 on November 30, to 0600 on December 1, predicted partial obscuration, 3 miles visibility in haze and smoke with occasional 2 mile visibility. 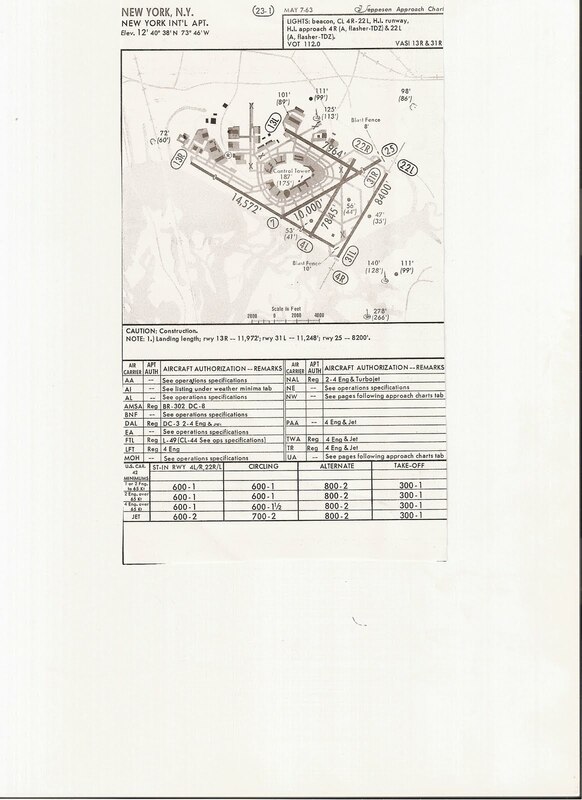 FAA publications indicated that the landing aids for runway 4R at Idlewild included an Instrument landing System (ILS); sequenced flashing lights; runway centerline, edge and threshold lights; taxiway lights; approach lights and rotating beacon. The Precision Approach Radar (PAR) was declared by a Notice to Airmen (NOTAM) to be out of service. 19:27… The Idlewild forecast is amended by the Weather Bureau. This amended forecast was to be valid for the period from 1940 to 0600; it called for "ceiling zero obscuration, visibility zero, fog, variable to clear, visibility 1-1/2 miles ground fog." There is no evidence that Flight 512 was advised of this forecast. 19:41… Flight 512 departs Charlotte on an IFR clearance. 20:15… TEL-autograph transceivers in the FAA control tower cab and IFR room became inoperative. This equipment is utilized to communicate written weather information between the Weather Bureau office and the control tower cab and IFR room. Also, it was discovered that the direct voice communication line (hot line) between the control tower and the Weather Bureau was inoperative. 20:23…. 512..Dispatch, If Idlewild below on arrival, you are cleared to Philadelphia. 512..dispatch , several other flights are diverting to Newark. 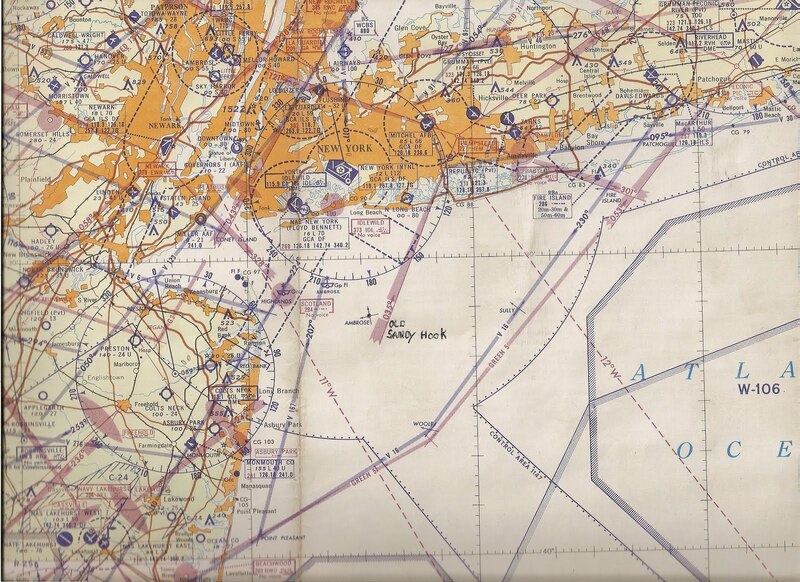 20:45 …EAL 512 , New York you are cleared to the Sandy Hook holding pattern at fl 11.0. 20:57… Eastern 512, hold at Sandy hook, right turns, and expect indefinite delay due to weather, Aircraft are landing on runway 22L. Shortly after this transmission all traffic was changed to 4R. 21:02 … Hello Company, 512 requests Idlewild weather. 21:02 . ..512 Idlewild visibility was….now one mile. EAL Flight 330 missed approach runway 22. 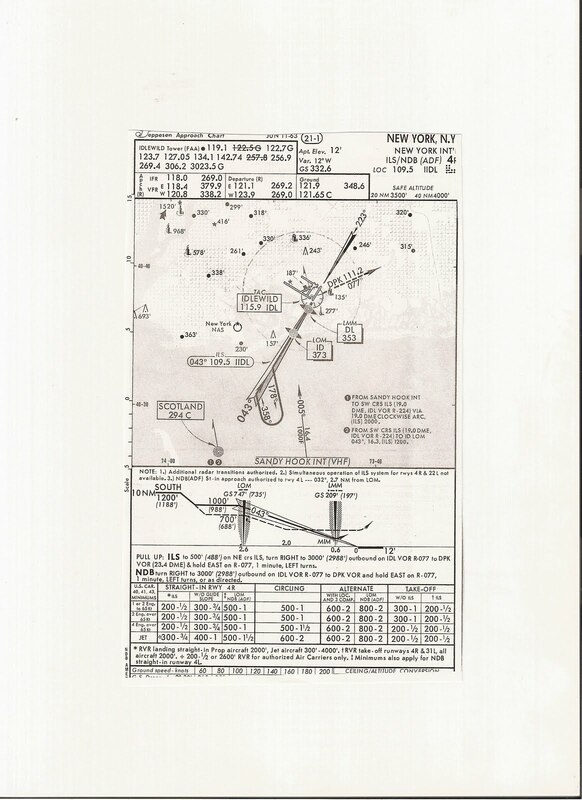 21:07…NYARTCC…All aircraft this frequency inbound Idlewild, the latest weather time 0205 (2105 EST), partial obscuration; a mile and, a half with fog; landing runway four right, RVR inoperative." 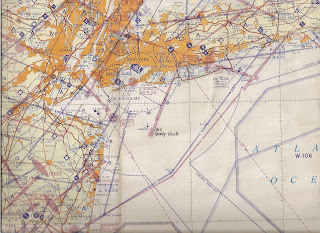 21:09… Eastern 512..New York..your revised EAC now 21:40..
21:10… Company 512,, we are coming up on Sandy Hook, have an expected approach clearance time of 40 minutes after the hour, altitude 9,000 feet, and understand the visibility is now one and a half miles..
21:12…Company 512, request Idlewild landing information. 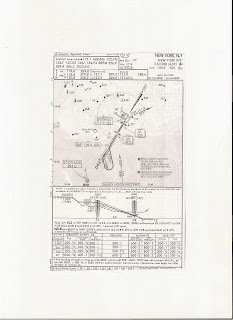 APPROACH CHART FOR RNWY 4 AT THE TIME OF ACCIDENT. It should be noted here that five weather observations were recorded by the observer on duty at the Idlewild Weather Bureau office between 2108 and 2153. During that period, the official visibility 4/ for Idlewild was that "prevailing visibility" observed by the FAA controllers 5/ located in the tower cab. 6/ Control tower operators are required to maintain a log of their observations of visibility. There is no documentary evidence that such log was maintained on the evening of November 30 in the Idlewild tower. There was, however, a Weather Bureau record 7/ of both prevailing visibility and surface visibility 8/ at Idlewild during the evening of November 30. 21:25 ...Idlewild Approach, EAL 512 in Sandy Hook holding pattern. Eastern 512, Idlewild Approach..four right IlS in use, landing runway 4R..Wind calm, The Idlewild weather, sky partially obscured, visibility 1-1/2 miles with fog. Altimeter setting: three zero three one. Precision Approach Radar not available. 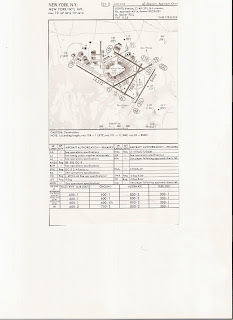 Middle marker, middle locator, Runway Four Right inoperative; Runway visual range Four Right inoperative." 21:27…Idlewild Approach, United 500, (A DC-6) making a missed approach on 4R, That stuff is no more than fifty feet thick and is really thick. 21:28… United 500 , Idlewild Approach,,Were almost on top of it here in the seventh floor, we can hardly see the ground…Good old fashioned ground fog..
At the time of this conversation another United 712 a Turbo jet landed on 4R. 21:30…This is Idlewild Approach… All aircraft copy. Runway Four Fight ILS in use. Landing Four Right Wind northeast six, altimeter three zero three one. Idlewild weather, sky partially obscured, visibility is one and one half miles with ground fog, and, just got out new visibility, its one mile now. One mile with ground fog Runway visual range four right inoperative. Middle locator Four Right inoperative, and Precision Approach Radar not available. 21:34.. Idlewild Approach … sky partially obscured; visibility one mile with ground fog; and wind is northeast at six, altimeter setting 30.31. 2134,…American Airlines Flight 910, a turbojet aircraft, landed on runway 4R. 21:41… Eastern 512 is approaching the OM, while United Flight 164 was landing on 4R. The captain of UAL 164 described his landing as follows: "Either at or shortly after passing the outer marker the glow of the approach lights was visible through the fog . . . The flight was, until this point, made in clear air with clear skies above Lights were clearly visible either on or very near the airport. Prior to reaching the middle marker, the threshold lights were observed . . . Landing was effected at 2141 EST in visibility that I would judge to be somewhat less than 3/4 mile. An accurate appraisal of visibility during the last 20 feet before touchdown was virtually impossible due to the brilliance of the runway lighting." At approximately this time, a Sabena turbojet aircraft, located on the ground at Idlewild one mile northwest of the threshold of runway 4R, was cleared for takeoff on runway 7R. The Sabena crew informed the control tower on VHF radio frequency 119.1 that visibility was ". . . a bit too poor . . ." and, requested a delay. 21:42.. Idlewild Tower Eastern 512 just passed the Outer Marker. Eastern 512 Idlewild Tower ...the condenser discharge sequenced flashing lights in the approach light system are being turned on let us know if you want them off. 21:43… Eastern 512.. Idlewild Tower, you are cleared to land. EAL 512.. Ok, please dim the flasher. Tower.. Roger, I have to shut them off. This was the last communication with Eastern 512. 21:44 EAL Flight 406, a Electra turboprop aircraft, was immediately preceding Flight 512 in the landing traffic for runway 4R. EAL 406 landed on 4R. The captain of EAL 406 indicated that approaching the airport the sky was clear and the approach lights could be seen prior to the outer marker. After passing the outer marker he lost the lights temporarily, but they became visible again before the middle marker. From this point, the run-way and threshold lights were also visible; however, fog described as variable, was encountered. He stated that ". . . after landing, we ran into very thick fog at the northeast end of the runway causing a little delay in clearing at the end." 21:44… EAL 512 Idlewild Tower advise when it was clear of runway 4R. There was no response. 21:45… Idlewild Tower…American 8, passing the outer marker, Tower. . we got a bright light ahead of us, appears near the airport - you got any information?" 21:46…American 8 ..Idlewild Tower overfly the runway and report while over the runway, 21:46…Tower….American 8. . . Runway four right appears to be clear, we got a fire in sight down there . . . to the left of the runway. EAL 512 crashed approximately 2,500 feet beyond the ILS touchdown point 9/ on the left side of runway 4R at 2145. After the accident, at 2150, a weather observation was recorded with " . . . visibility 3/4. mile in fog . . . surface visibility 1/8 mile." The landing minimums for EAL 512 were 200 feet ceiling and 1/2 mile visibility. The "surface visibility" observations of the Weather Bureau were not communicated by the FAA tower personnel to EAL 512 on any recorded communications frequency. Tower personnel stated that the Weather Bureau observations for the period 2108 to 2150 were not received by them. The Weather Bureau observer at Idlewild did not recall specifically advising any person in the control tower of the "surface visibility." He said: "I do not remember sending out any observation. The only thing I can say is I do not remember not sending out any observations." The first impact marks made by the aircraft were slashes from the Nos. 1 and 2 propellers. These marks were located 3,460 feet from the threshold center of runway 4R, on a bearing of 37 degrees. Computations based on reed cuts and propeller slashes indicate a flight path impact angle of 2 degrees-with a 6-degree bark to the left and an airspeed of 135 knots. A splash mark from the tail-skid, commencing 50 feet before the main impact, indicated an aircraft attitude of 3 to 5 degrees nose high. Breakup of the wings and fuselage occurred on a mound of earth approximately 3 feet high, located 3,600 feet from the threshold center of runway 4R, on a bearing of 37 degrees. The left wing failed near the wing root, between the Nos. 1 and 2 engine nacelles, and at the tip. The left wing fuel tanks ruptured, resulting in ground fire which burned a large area just beyond the mound. The right wing separated at the wing root with portions of the upper and lower fuselage skin fairing and structure still attached. The aircraft fuselage separated at impact in the vicinity of the aft wing spar with the forward portion coming to rest 90 degrees to the wreckage path. This break occurred approximately at the cabin partition between the forward tourist and aft first-class sections. All survivors, 6 tourist, 18 first-class passengers and 2 stewardesses, exited through the main passenger door, aft emergency exit door or windows, or through breaks in the fuselage. They reported seeing fire from the wings immediately on impact, followed by fire inside the cabin a few seconds later. As a result of this fire both stewardesses, who had been seated in the aft lounge, were unable to see forward of the galley area by the main loading door. The nose landing gear was separated from the aircraft; the actuating cylinder indicated it was fully up at impact. The main landing gear was found in the retracted position. There were no landing gear gouge marks along the wreckage swath. All three landing gears on the DC-7 retract in the forward direction, and retraction time is about 7 seconds. The flap-actuating cylinders indicated the left flap was set at approximately 20 degrees or "takeoff" position at impact. The right flap actuating cylinders corresponded to an approximate setting of 10 degrees. Examination of the flap actuator on the flight deck indicated a 20-degree flap position had been selected at impact. The right flap bus cable turn-buckle was found broken; however, a laboratory examination revealed that this break could only occur to this type of brass when under a tension load, at a very high temperature. Wing flap control valve cable continuity could not be traced to the cockpit controls because of fire damage. All four engines received considerable impact damage, with various components being torn loose or broken away. Examination of the engines revealed no evidence to indicate pre-impact failure, operational distress or malfunction. Tests of the propeller governors revealed that engine speeds for Nos. 1, 2, 3, and 4 had been 2,474, 2,445, 2,463, and 2,422 r.p.m., respectively. Propeller shim plate markings indicate blade angles at impact were 37, 37, 36, and 38 degrees, respectively, for the Nos. 1, 2, 3, and 4 propellers. At impact, the approximate horsepowers being produced by engines Nos. 1, 2, 3, and 4 were 2035, 1950, 1993, and 1890, respectively. Normal engine horsepower for a landing approach is approximately 1,000 horsepower per engine. A few hours after the accident, at 0245 on December 1, 1962, the FAA made a flight check of the complete ILS serving runway 4R. 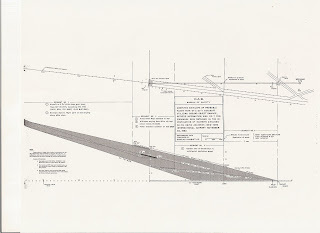 This check disclosed that the front course of the localizer, glide slope, and markers were operable and within required tolerances at that time. A further check was conducted on December 4, 1962. 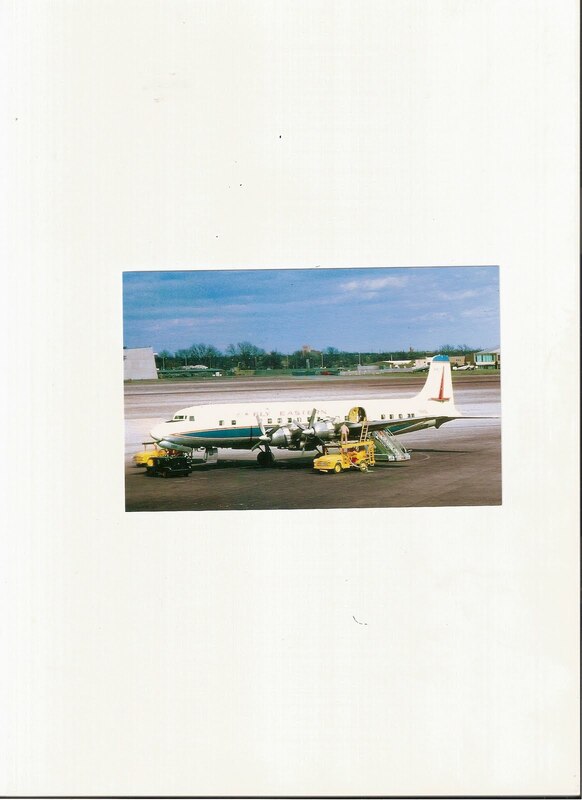 The purpose of this flight was to determine whether or not Lockheed Electra L-188 on the instrument runway, or taxing near the localizer antenna, would affect the presentation of instruments in an aircraft making an approach. Three approaches were made under these conditions and no abnormalities were noted in the localizer course from over the outer marker to the runway threshold. 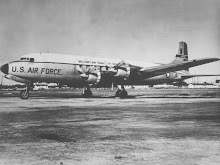 The latter test was prompted by concern that an Electra, which had, landed approximately one minute before Flight 512, might have interfered with localizer signals. Captain applies or calls for power as required usually METO. NOTE: At airspeeds expected at the start of a go-around, the use of T.O. r.p.m. and power not normally needed. If go-around from balked landing is made with full flaps and gear down and speed reduced to approximately minimum landing, T.O. power and. r.p.m. may be necessary. Wing flaps - TAKEOFF position. Normal CLIMB POWER after landing gear is UP. Wing flaps may be left at TAKEOFF position or retracted at captains discretion." The chief pilot of the Douglas Aircraft Company was questioned about the DC-7 performance and acceleration characteristics in various configurations. He stated that power application as low as 2,100 to 2,200 horsepower per engine, instead of METO, at the start of a go-around in the landing configuration, would, produce a low rate of climb initially, and a slower transition to a climb. There would be no tendency for the aircraft to roll or yaw if all engines are accelerated evenly. He further stated that with a gross weight of approximately 96,000 pounds and "Using the landing configuration of gear down, flaps full and using all four engines at takeoff power, the angle of climb for a speed of 115 knots would be approximately 3 degrees. That's the noseup, and that would be using the airplane fuselage as the reference line on the horizon . . . at the same configuration, speed at 135 knots the angle would be 2 degrees. For configuration of flaps 20 degrees, and the gear up, using all four engines at takeoff power, the angle with 115 knots would be 9 degrees noseup, and 135 knots would be 8 degrees noseup." If less than takeoff power were used, in the 2100 or 2200 horsepower per engine range, ". . the angle would be slightly less." He also stated that with a gross weight of 96,000 pounds, brake horse-power of 2,250 and 2,600 r.p.m. at sea level on a standard day the aircraft would accelerate at a rate of approximately 2 knots per second. Placing the flaps at 20 degrees, 40 degrees, and finally at 50 degrees flaps and gear down the acceleration would drop to approximately 1.52, 1, and. slightly less than 1 knot per second, respectively. He further stated that using an airspeed of approximately 115 knots, at maximum landing weight, "There would be no problem at all to pull it up and rotate it . . . into . . a balk-landing climb." The investigation revealed no evidence of control system, powerplant, or structural failure. The forces to which the aircraft was subjected when it struck the mound of earth near the point of initial impact, undoubtedly contributed to the extensive breakup of the structure. The system of weather observation and reporting as it concerned the flight deserve special attention. The U. S. Weather Bureau, the Federal Aviation Agency tower controllers, and the Eastern Air Lines dispatch organization each had, duties relating to weather observation and reporting. The system placed the initial responsibility on the Weather Bureau to observe and record the weather information. Since the official Idlewild, visibility was less than four miles, the responsibility for taking visibility observations was assumed by the FAA tower controllers. There was an exception in the rules which provided that the responsibility for taking official visibility observations would revert from the tower to the Weather Bureau, when the tower was above the top of the phenomena. However, during the period with which this report is concerned, the tower was observing restricted visibilities which indicated that the top of the phenomena was, in fact, above the tower. The FAA tower controllers furnish meteorological information to aircraft in flight, particularly in the terminal area. 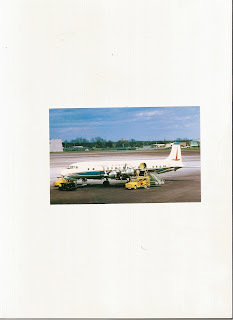 The prime responsibility for furnishing significant weather information to EAL 512 while en route was a duty of the Eastern Air Lines dispatcher. The information furnished to EAL 512 did indicate that the weather situation at Idlewild was deteriorating. These reports included notification of indefinite delays due to weather; alternate airport information; that company traffic missed an approach and that the visibility was one mile when the flight departed Sandy Hook holding pattern. The information contained in the remarks section of the Weather Bureau observations which indicated that the "surface visibilities" were less than the reported official visibility were not furnished to the crew of EAL 512. Further, the Approach control broadcast of the 2136 special observation, which included "visibility 3/4 mile in ground fog" was made at 2139:59, or after EAL 512 had been instructed to change to tower frequency. Owing to the vertical and horizontal separation of the tower cab from the approach end of runway 4R, the tower visibility observation was not representative of the condition along the runway. However, since the tower RVR was considered inoperative, the governing visibility factor applicable to landing minimums of 1/2 mile visibility was that observed by the tower controller. It was on this basis that the airport remained "above minimums" while EAL 512 attempted an approach. There were two indications of poor visibility which the crew of EAL 512 should have heard during their approach. The crew of an aircraft clearing the runway reported experiencing visibility of 50-60 feet. In addition, the jet flight awaiting departure from runway 7R requested a takeoff delay for weather improvement. These transmissions all took place on tower frequency, which EAL 512 had been instructed to monitor shortly prior thereto. However, if the crew of EAL 512 was aware of these reports, the knowledge that company traffic bad landed immediately ahead of them, at 2144, could have offset any apprehension they may have had regarding the successful completion of their approach. Since the captain of EAL 406, which landed immediately ahead of EAL 512, stated that he saw the approach, runway, and threshold lights from the middle marker, and since the pilot of EAL 512 requested that the "flashers" be dimmed, it is presumed that he was encountering similar weather conditions. During the approach, EAL 512 should have been at 197 feet above the field elevation over the middle marker. A decision must have been made at this point either to complete the approach or go around. Although the transcript of recorded communications did not reflect passage of the middle marker or the captain's intention at that tine, it is concluded from the testimony of surviving passengers that the captain elected to continue his approach and effect a landing. From the middle marker-to the runway threshold, altitude and airspeed were reduced in preparation for the landing. As the aircraft continued to descend, a rapid deterioration of visual reference was encountered in thick fog. This fog was similar to that observed by crews awaiting takeoff on runway 7R, and by crews that landed on runway 4R. When visual reference was lost, the pilot elected to go around. The aircraft was on the glide path at the middle marker with its gear down, flaps at 30 degrees, airspeed at 130 knots, descending at 574. feet per minute and a constant power of 100 BMEP at 2,450 r.p.m., or 1,040 brake horsepower per engine. 2. As the runway threshold was approached, flap extension from 30 degrees to 40 degrees was initiated at an altitude of approximately 75 to 80 feet. The extension of flaps from 30 decrees to 40 degrees required 2 seconds, during which time the aircraft decelerated approximately 1 knot to 129 knots. A slight deviation above the glide slope occurred when the crew, seeing the threshold and some of the runway lights, began to execute a visual approach. 3. After crossing the threshold, the aircraft continued along a flightpath of 1-1/2 degrees slope downward and about 6 degrees to the left of the runway heading for 8-3/4 seconds. During this period, there was a rapid deterioration of visual reference when thick ground, fog was encountered. At the end of this period, the aircraft had decelerated to a speed of 124-1/2 knots and had descended to an altitude of approximately 25 feet above the ground. After perceiving the fog and evaluating the situation, the crew of EAL 512 elected to abandon the approach. Without increasing the r.p.m., slightly more than climb power was applied, and the landing gear was retracted coincident with retraction of the flaps to 20 degrees. The nose of the aircraft was rotated upwards to between 3 to 5 degrees above the level position. The missed approach procedure was initiated about 1,000 feet beyond the ILS touchdown point, to the left of the runway, altitude about 25 feet. Execution of the missed approach procedure by the crew of EAL 512 necessitated a transition to instrument reference due to the loss o visual reference. This had to be accomplished at an extremely low altitude. There was little time or margin for error if the maneuver was to be successfully accomplished. The DC-7B aircraft in the landing configuration can be transitioned from the landing attitude to a climb without loss of altitude. In order to accomplish this, takeoff power, or even climb power, with aircraft rotation to approximately a 3-degree noseup attitude is required. The retraction of flaps to 20 degrees during such a transition requires an aircraft rotation to approximately to a 9 degree noseup attitude, in order to compensate for the loss of lift as the flaps are retracted. Surviving passengers did not experience the pronounced charge in altitude which would have resulted from aircraft rotation to 9 degrees noseup during the crew's execution of the missed approach. The ground impact splash from the tail skid confirmed a 3-to 5-degree noseup attitude. 1. Additional aircraft rotation, commensurate with the power utilized. 2. Use of the remaining power available. The Board concludes that additional aircraft rotation was not effected due to a lack of immediate instrument orientation, and that additional power was either not requested, or delayed because of other duties. 1. It was recommended that the Air Traffic Control procedures require the transmission of all operationally significant weather information in terminal areas to approaching aircraft. The FAA, by letter dated January 8, 1963, stated that the necessary procedural changes were being prepared. 2. It was recommended that the RVR instrumentation in the recently commissioned IFR room of the Idlewild tower was inadequate. Also, the Board requested a study of the physical arrangements in all towers where PAR is installed. On January 11, 1963, the FAA stated that corrective action was being taken and that a new program would permit installation of five RVR indicators in a tower facility. 3. It was recommended that an alternate method be developed to determine runway visibility when the RVR is inoperative. This was to be accomplished by utilizing runway observers, certificated by the Weather Bureau. On January 14, 1963, the FAA stated that this procedure would be implemented on a trial basis in New York, Chicago, and Los Angeles. The Weather Bureau indicated concurrence with the recommendation on January 8, 1963. 4. The Weather Bureau, was informed that the staffing plan of the Weather Bureau Airport Station at Idlewild was inadequate to maintain proper surveillance of all the weather recording devices available. On January 8, 1963, the Weather Bureau indicated, that corrective action would be taken. 5. It was recommended that the Weather Bureau amend their methods of observing and, reporting prevailing weather when "partial obscurations" are present. The Weather Bureau indicated concurrence with this recommendation on January 8, 1963. 6. 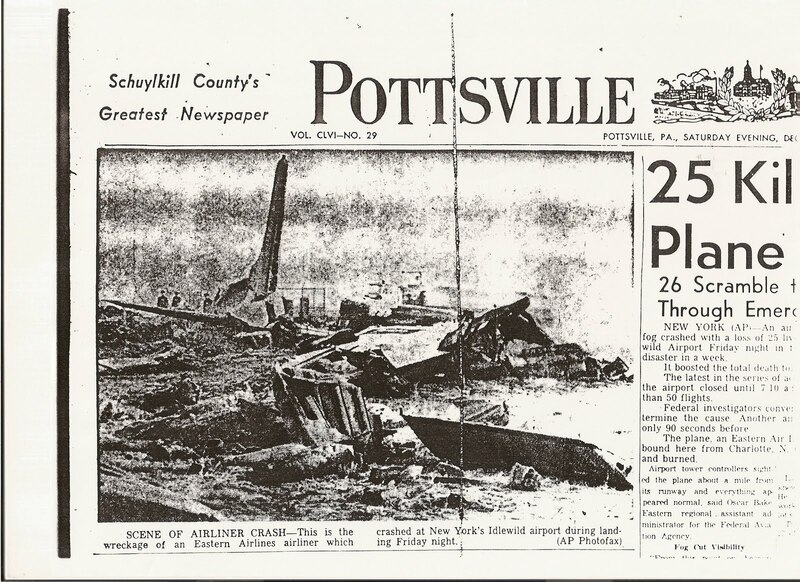 The FAA was informed that there was a period of time on the evening of this accident when no record of tower visibility observations was retained. It was recommended that the responsible activities should be recording and reporting the same values of visibilities at all times and that there should be a written record of all tower visibility observations, on February 4, 1963, the FAA stated that operations procedures were being developed to accomplish this end. 7. It was recommended that the "Remarks" portion of weather reports be broadcast to aircraft. The FAA informed the Board that a priority project had been initiated to standardize the transmission of weather information from ATC facilities to airmen in flight.